One of the biggest franchise by Microsoft “Halo” is expanding its series with “Halo 4”, the long awaited sequel is now being developed by 343 Industries instead of the traditional Bungie Studios, the game is being discussed widely over the web and finally the pieces are coming together. 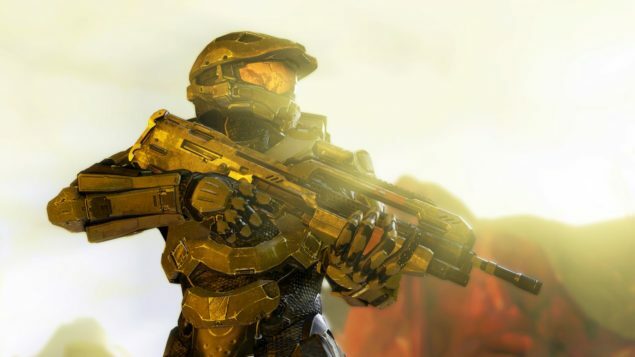 Rumors and sources revealed Halo 4 detailed story and and changes in Multiplayer mode. The story kicks off at Year 2557, Master Chief is waking up after four years of cryo sleep which is the ending of Halo 3, Cortana has chosen a new visual form while Master Chief was in cryo sleep, she picks up an intrusion signal of covenant that might joined from the fleet outside Master Chief’s derelict ship, some of the pieces to the puzzle are still yet to be revealed as its not been confirmed that why Cortana is there at all and why the Covenant has rebelled against the human race again. The game features FXAA post processing in 720p native, Cortana and Master Chief along with few more character’s are animated with motion capture technology giving the game more realistic effect’s, game has been split into two mode’s, Campaign and Infinity which is the new term introduced by 343 Industries for the entire multiplayer experience. The firefight mode seems to be long gone from the series now including Halo 4, Co-op mode is renamed to Spartan-op and will be featuring campaign-esque mission’s for four players online with new artillery, Some of the new weapons include the Covenant carbine and plasma pistol return alongside the human sniper, assault, battle rifles and armory from USMC include rocket-launcher, shotgun, and assault carbine. Loadouts are one of the best changes so far, from the past Halo installments players were bound to use similar and limited choices of weapons in multiplayer, players can now customize gear into battle. Everyone packs a primary and secondary weapon, armor abilities, grenade type. Weapons still appear around the map, but they appear in random spots via drop pods and last but not least it is worth mentioning that there will be a tweak that will show up in Halo 4 multiplayer which will be spontaneous re spawn in team slayer. Game is coming out in fall of this year.